I have a confession to make. I’m a bit obsessed with yuca. Since discovering this miracle tuber (similar to a potato but more versatile), I’ve made things I never dreamed I could eat on the Paleo diet: dinner rolls, pie crust, empanadas, focaccia, sweet breakfast bread, English muffins and pizza crust. Yuca is the starchy root vegetable that tapioca starch/flour comes from. If you’ve ever baked with tapioca you know how sticky and chewy it is. Because it has natural binding properties, there’s no need to use eggs. Amazing. I learned about tapioca by making Ashley’s insanely yummy Paleo Naan Bread. And tapioca was my gateway to yuca. After discovering the world’s most versatile veggie, my imagination took over. I began experimenting with yuca like crazy. Today, I’m thrilled to share one of my favorite yuca recipes. 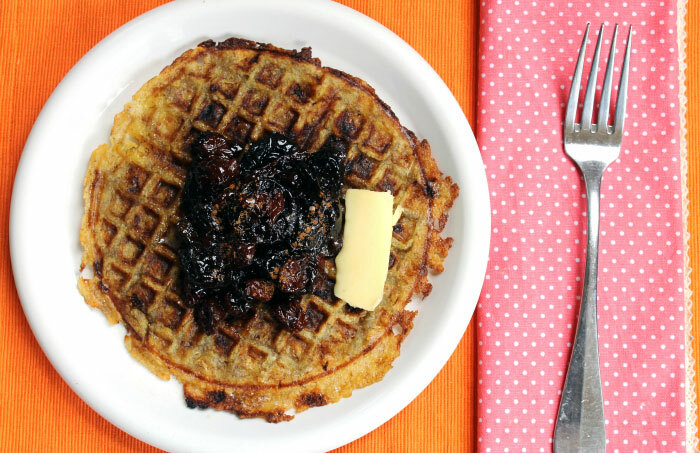 These waffles are soft and chewy yet also crispy and caramelized around the edges. They were sweet enough to eat plain but were even better with butter and a dried fruit jam. Yuca is a whole food containing carbs, protein and fat while tapioca is just the starch/carbohydrate extracted from yuca (fat and protein are removed). Yuca (also known as manioc or cassava) needs to be carefully peeled, boiled and mashed to create a dough. Mix it with a little bit of oil and you can bake anything your heart desires. Here’s a video on how to prepare yuca dough. Yuca freezes well, so make a big batch so you can have some on hand for later. Your batter shouldn’t be too dense. 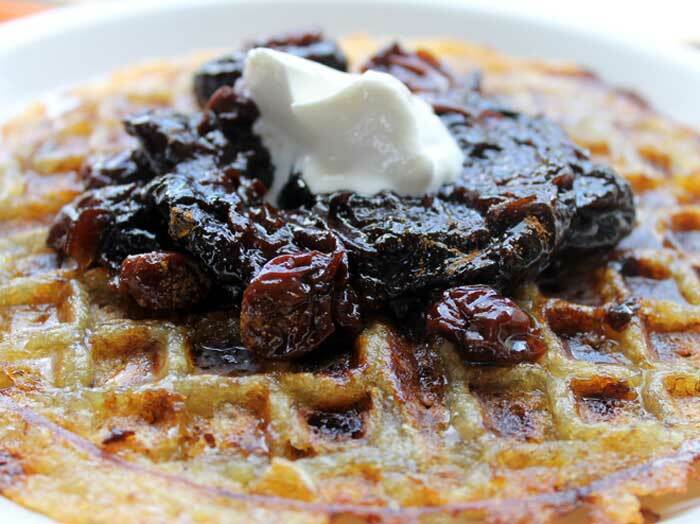 You should be able to pour it onto a waffle iron like regular waffle batter. If you can’t pour it, add water, oil or coconut milk one tablespoon at a time until the batter is pourable. If your dough is too thin, add tapioca, arrowroot or coconut flour one tablespoon at a time until you’ve thickened the batter. 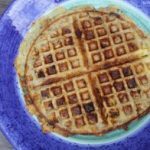 Ideas for other sweet things to add to your waffle batter as you’re experimenting: spices like vanilla, cinnamon, cardamom or pumpkin pie spice. Or berries, pistachios, chocolate chips, coconut butter or nut butter. Or go savory: replace bananas with garlic salt and serve a savory waffle with Paleo fried chicken and yuca fries. Yuca is available canned, frozen or fresh at Asian or Latin supermarkets. And Amazon sells it too! 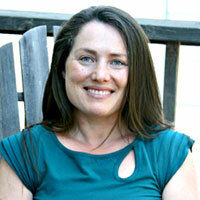 I hope this miracle tuber creates as much possibility in your kitchen as it has in mine. Have fun playing with yuca! No waffle iron? No problem. Don’t have a waffle iron? Bake the dough in a baking dish lined with baking parchment paper at 350 degrees for half an hour. It won’t have a waffle shape but it will still be delicious. If getting yuca is a challenge you can substitute tapioca flour for this recipe. It will differ a bit in taste and texture. See the version using tapioca flour below. Peel and chop yuca into large pieces. Boil the yuca for 20 minutes or until soft. Drain yuca, then mash it up in a bowl. Use 1 cup of the mashed yuca for the recipe below. Combine the banana, mashed yuca and a tablespoon of avocado oil using a fork. It’s okay if it isn’t completely smooth. If the dough is too thick, add water – one tablespoon at a time until the batter reaches a pourable consistency. Pour 1/3 of batter into a greased waffle iron. Once the waffle iron turns off automatically, allow the waffles to cook for an extra 2-3 minutes. Serve with maple syrup, butter, fruit, coconut cream or coconut ice cream. Combine all of the ingredients together in a bowl. Pour into a greased waffle maker. Brew 1 cup of earl grey tea. Soak the dried fruit in the tea for 15 minutes. Transfer everything to a pot and bring to a simmer. Simmer on medium low heat until most of the water evaporates and the dried fruit softens. Check it often so it doesn’t burn. Strain the remaining liquid and serve. You may need to pour less batter into the waffle iron depending on its size. You want to keep these waffles thin, so that they cook through properly. I am about a month into my new AIP lifestyle and was desperately in need of a treat this evening. These waffles totally satisfied my cravings! What a wonderful recipe! Thank you so much! Glad to hear that you liked this recipe, Reagan! Good luck with your AIP journey! 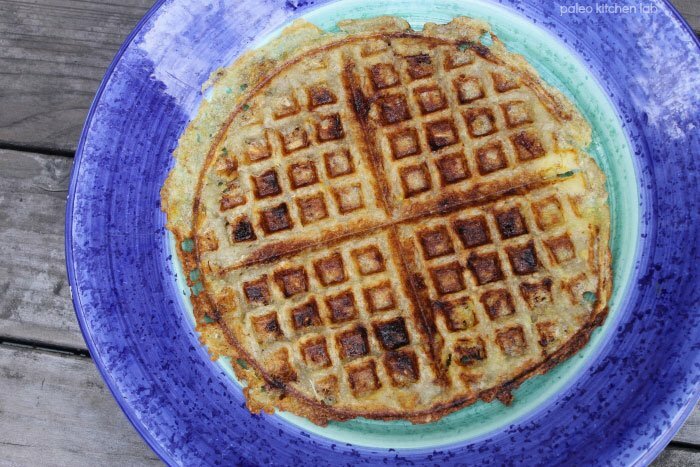 To make the savory waffles, how much garlic salt should be used? It says to replace the bananas with garlic salt…but surely not with equal amounts! I also suffer from IBS (IBS-D) and, while the Paleo diet has been a huge help, I have had to further cut out or minimize consumption of several Paleo ingredients. Yuca/cassava/tapioca is one of them. I cannot eat a “regular” serving without gas and diarrhea.